Self-covering winter cauliflower. Overwinters with moderate frost. 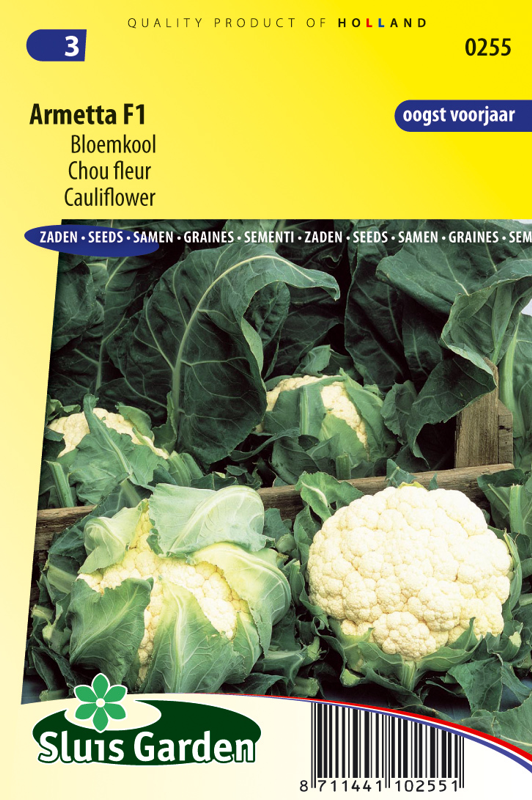 Harvest in late winter / early spring Best sown in a greenhouse directly in pots or first in a seedbed. Keep soil moist. Then transplant on time in well worked and fertilized soil, to prevent the plant forming a small cabbage prematurely. 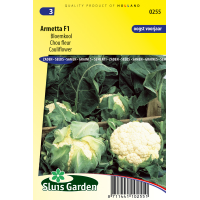 Use anti-insect nets to protect young plants against cabbage midge and cabbage root fly. Cultivate each year in a different spot.